Narendra Damodardas Modi, the present Prime Minister of India was born to a Gujarati family on 17th September, 1950 in Vadnagar. He has been serving his term as the Prime Minister since 2014. He was the Chief Minister of Gujarat for over a decade from 2001 to 2014 and is the Member of Parliament for Varanasi. He is a member of Bhartiya Janta Party (BJP). Modi had a very simple and poor childhood. He was the son of a tea vendor and so, as his fate had for him, he also grew up to become a tea seller at his father’s tea stall at Vadnagar railway station. Modi joined Rashtriya Swayamsevak Sangh (RSS) at the age of eight and this was the turning point in his life. He grew up to become a Hindu nationalist. At the age of 18, he left his house as he was unhappy about his arrange marriage with Jashodaben. He had completed his graduation by then. He traveled around the country for over two years. In 1971 he got completely involved with the RSS. 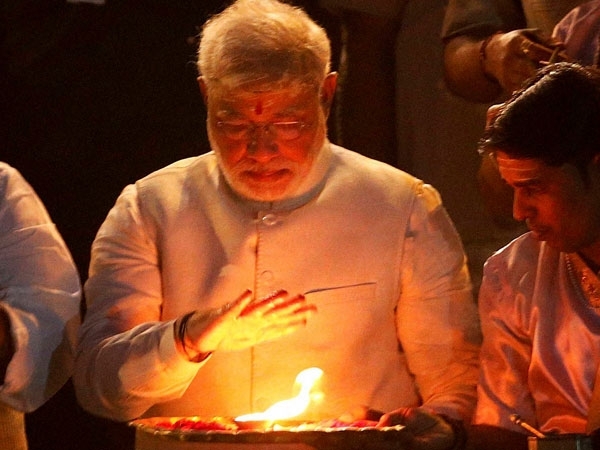 Narendra Modi has always been a strong supporter of RSS and the reason for this is his strong connections with the RSS. During the emergency imposed by then Prime Minister Indira Gandi Modi, Modi had to hide in disguise as he was an active member of RSS which was an opposing force during that time. He was introduced into BJP by RSS in 1985. He rose to the rank of general secretary through his dedication and strong debating skills. And it was due to the ill health of Keshubhai Patel and his poor public image that Modi was given the golden opportunity of becoming the Chief Minister. He was elected to the legislative assembly and became the Chief Minister of Gujarat in 2001. His administration has been considered as one that transformed the image of Gujarat. There was a significant economic growth during his time as Chief Minister. But during the 2002 Gujarat Riots his management and handling of the situation was considered questionable. The Media questioned his credibility and this was a matter that spoilt the image of a well governing Chief Minister. However, as there was no evidence against him, the Special Investigating Team (SIT) could not initiate prosecution proceedings. 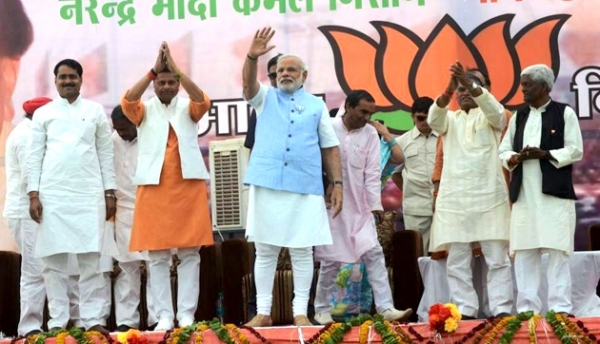 BJP won by a majority in the 2014 Lok Sabha Elections, which was led by Narendra Modi. And it was for the first time after 1984 that a single party had achieved majority. Under his administration as the Prime Minister, the country has seen many drastic changes. It is under his administration that the country faced demonetization. He introduced tax reforms, focused on technology development and many such major steps that have both been appreciated as well as criticized. Narendra Damodardas Modi was born in a small town of Vadnagar, Mehsana, Gujarat on September 17, 1950. His parents were Damodardas Mulchand and Heeraben Modi. He belonged to the backward Ghanchi community. In his early childhood he used to help his father at Vadnagar railway station, at his tea stall. Later he was able to set up a tea stall near a bus terminus with his brother. In 1978 he completed his graduation from Delhi University in political science through correspondence and acquired a Masters degree in political science from Gujarat University in 1983. The motivating force for Modi to join politics was RSS. RSS was an opposing body to the Indira Gandhi government and so during the 1975-77 national emergency, Modi remained underground and traveled in disguise, as he was an active member of the suppression teams against Congress. He made use of his managerial, organizational and leadership skills and vigorously participated in opposing the government by printing and distributing of pamphlets. Modi was appointed as the general secretary of the "Gujarat Lok Sangharsh Samiti", an RSS committee. Its work was to coordinate opposing Emergency. He also wrote a book named Sangharsh Ma Gujarat (In The Struggles of Gujarat), in which he described the events during the Emergency. He became an important member of RSS with time, through his skills and hard work. He joined the BJP in 1985 and was made the organization secretary of its Gujarat Unit in 1987. His capabilities were appreciated within the party after he helped in executing L.K. Advani’s Ayodhya Rath Yatra in 1990 and Murli Manohar Joshi's 1991–92 Ekta Yatra, which was his first national-level political assignment. He had dedicated himself to BJP and played a major role in strengthening BJP’s presence in Gujarat. He became the General Secretary (Organization) in 1998, a position through which he helped BJP win the 1998 Lok Sabha elections. As a chief minister Modi made Gujarat prosper and made some important economical reforms that changed the face of Gujarat. He brought electricity to every household in Gujarat. He was the Chief Minister of Gujarat for more than a decade from 2001-2014. In 2001, due to the ill health of Keshubhai Patel's health and allegations of abuse of power, corruption and poor administration, the BJP national leadership sought a new candidate for the chief ministership, and Modi was considered an appropriate candidate for it. 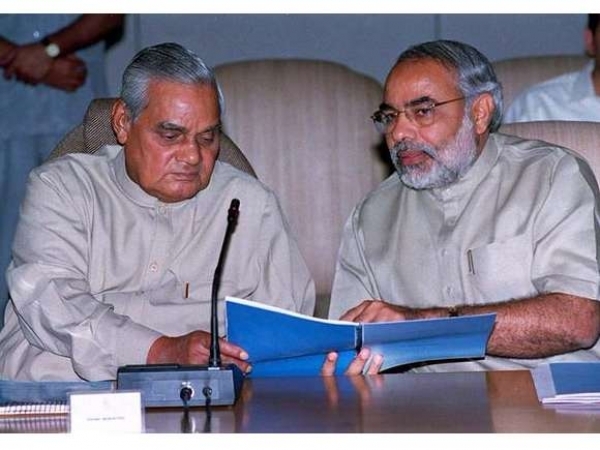 On October 7, 2001 Modi took his oath as the Chief Minister of Gujarat. Godhara Riots- On 27 February, 2002 started one of the most horrific events in the history of the country that gave rise to communal hatred. It started when a train coach with Hindu pilgrims was burnt and more than 60 passengers lost their lives. It was then that the Hindu wings specifically the RSS became outraged and the entire incident took an ugly turn. More than 2000 people were killed, including men, women and children. Those that survived this massacre term it as the most horrific incident, where humanity was shattered to an unbearable extent. Modi government was criticized for the poor management and it was also pointed out that the government was involved in these mass killings. While, according to the Special Investigation Team (SIT) there was not enough evidence to file any charges again Narendra Modi and hence the Supreme Court released Modi of any charges and the case was closed in March 2012. The BJP won 31% of the vote and more than doubled its tally in the Lok Sabha to 282, becoming the first party to win a majority of seats on its own since 1984. Many believed that it was the Modi lead election campaign that lead to this victory, no other face could have made this possible. On 26 May 2014 at the Rashtrapati Bhavan he became the Prime ministry of the largest democracy in the world. He brought major reforms like the formation of the NITI Ayog, Demonetization, Make in India Campaign, Swatch Bharat Campaign, introduction of GST, Surgical strike. His future now lies on the 2019 elections.